H.H. Sheikh Hamdan Bin Rashid Al Maktoum Deputy Ruler of Dubai, UAE Minister of Finance and President of Dubai Health Authority received a certificate of appreciation from Dr. Eric de Roodenbeke, CEO of the International Hospital Federation (IHF), in recognition of his efforts in supporting the health sectors, the scientific research and the continuing medical education locally, regionally and internationally. At Zabeel Palace, H.H. Sheikh Hamdan bin Rashid Al Maktoum, Deputy Ruler of Dubai, UAE Minister of Finance and President of Dubai Health Authority received a delegation from the International Tunneling and Underground Space Association (ITA) led by Engineer Soren Degn Eskesen the president of the association. Prof. Najib Al Khaja, Secretary General of Sheikh Hamdan Bin Rashid Al Maktoum Award for Medical Sciences and President of the Award’s Centre for Arab Genomic Studies (CAGS) discussed supporting research in the field of the human genetics in cooperation with the National Genetic Center in the Sultanate of Oman. During the meeting, the draft budget of the authority for 2014 was reviewed and approved, with estimated revenues of Dh4.5 billion and expenditures of Dh3 billion, to be submitted to the federal cabinet for approval. 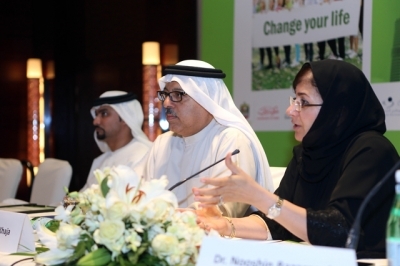 Under the auspices of His Highness Sheikh Hamdan Bin Rashid Al Maktoum, Deputy Ruler of Dubai, UAE Minister of Finance and President of Dubai Health Authority, the First Non-Communicable Chronic Diseases Congress will be organized in Dubai during the period extending from the 9th to the 11th of January 2014 at the Conference Centre at the Intercontinental Hotel in Dubai Festival City. 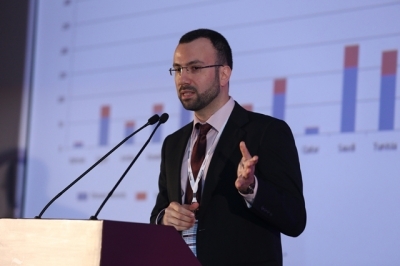 The congress is expected to be attended by more than 1500 medical specialists and physicians working in the primary healthcare sector and nursing and administrative staff from the medical, school health, and private sectors. 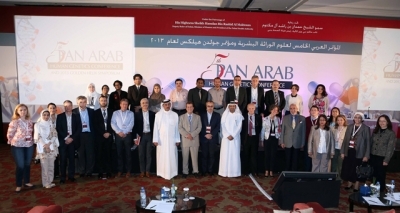 The recommendations issued by the 5th Pan Arab Human Genetics Conference included the importance of enhancing mutual cooperation among Arab geneticists to implement a joint Arab scientific project under the umbrella of the Centre for Arab Genomic Studies (CAGS).